With so much uncertainty surrounding the economy, more and more people are wondering where to buy silver to help protect their savings from future economic instabilities. If you were one of the many investors who saw their portfolios eaten away by the volatile stock market in recent years, then you know how serious the situation is. Millions of Americans lost significant portions of their savings and were forced to work past their retirement goals. Not only that, the U.S. dollar has continued to decline in value over the last decade, thus hurting the purchasing power of Americans even further. However, precious metals like silver can help shield investors’ futures from the current unstable economy and future unfortunate events. Silver helps create a balanced, diversified portfolio with great growth potential, while also helping to hedge against inflation. But regardless of your experience with precious metals, you need to make your purchases carefully. 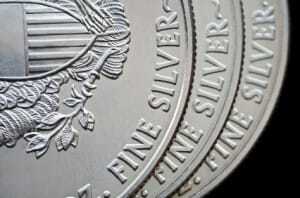 Use the simple tips below for determining where to buy silver and how. Buying silver (or any other precious metals) is an investment that should be taken seriously. Seek the expertise of an established precious metals company that has extensive experience in the industry. These professionals will help guide you through the process of purchasing silver and they can identify the right options for your individual needs and goals. Tip: Avoid any company or dealer that pressures you into decisions that you’re not sure about. Make sure you understand your options and are comfortable with investments before moving forward. If you’ve been wondering where to buy silver, then you may have a single type of investment in mind, such as silver coins. But there are actually several different options available, including silver bullion, numismatic coins and silver IRAs. Look for precious metals companies that offer a large number of options, so that you can choose the investments that make the most sense for your situation. Tip: You might be interested in silver right now, but what about gold, platinum or palladium? Use a firm that offers all of these precious metals, so that you can work with a single company if you decide to further diversify your portfolio in the future. A good precious metals company will put you in touch with a skilled, knowledgeable specialist who can make focused recommendations for your investment goals. Avoid companies that simply give you a list of options and leave it to you to figure it all out. Make sure there is someone you can talk to who will provide answers to your questions and develop an individualized strategy for your silver purchases. Tip: When dealing with a specialist, if you experience poor customer service as you ask questions about how and where to buy silver, then it’s probably time to find another precious metals company. If you’re curious where to buy silver, our professionals at Birch Gold Group are happy to help. With an A+ rating from the Better Business Bureau, Birch Gold Group is the precious metals company of choice for people who appreciate the personal touch and believe that integrity is important. Whether you’re a first-time buyer of silver or an experienced precious metals investor, we offer a variety of investment options and we are committed to providing you with superior service while helping you achieve your individual goals. Give us a call and one of our precious metals specialists will be happy to walk you through your options and guide you in the right direction. Call (800)355-2116 to speak to a specialist now or fill out the form on this page for more information.